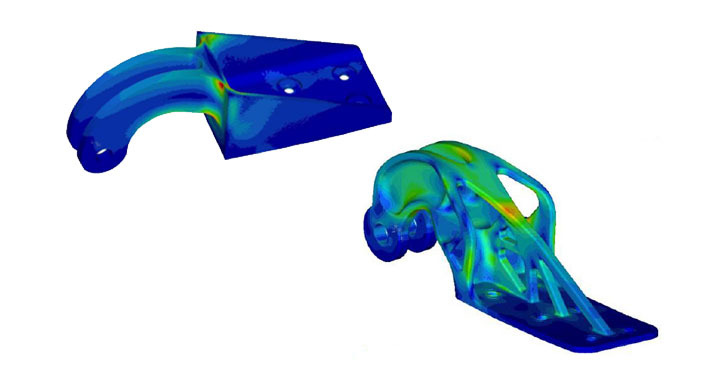 Altair’s award-winning optimization technology generates efficient, organic-looking shapes that are ideal for advanced manufacturing methods. 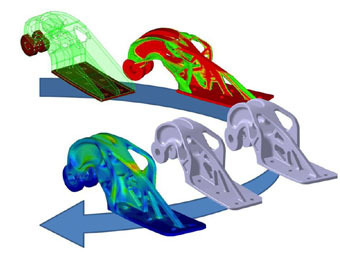 Coupling additive manufacturing (AM) and topology optimization greatly expands design freedom and creativity to get the best possible design. 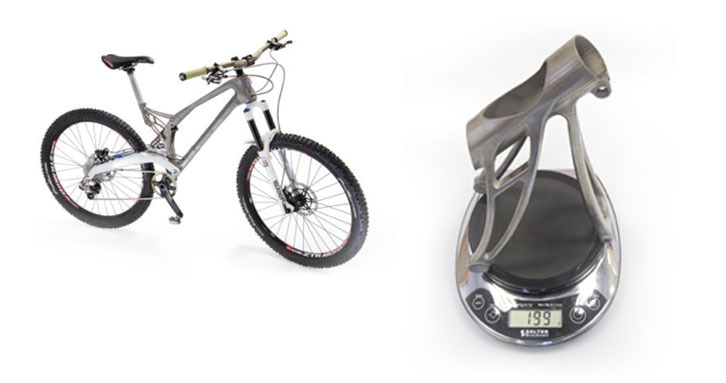 First 3D printed metal bike based on solidThinking Inspire results Renishaw's Product Marketing Engineer David Ewing is talking about the use of solidThinking Inspire for the first bike ever built with additive manufacturing. Altair has been working closely with OEMs, manufacturers of AM machinery and those at the forefront of AM research to help develop a robust end-to-end process for AM. Additive manufacturing enables the creation of highly complex structures, which often cannot be produced with traditional manufacturing methods. With additive manufacturing, you can realize light weighting strategies and increase the performance of a component like never before. 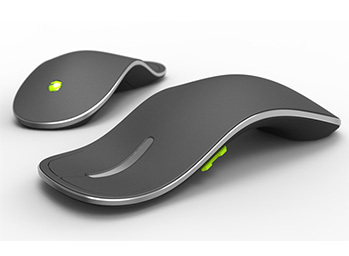 Evolve provides you with the design freedom to realize organic-like structures. How much design freedom do you really have? Basic Design rules for Additive Manufacturing, like overhang angles with respect to the building orientation, will be embedded in OptiStruct. This approach is demonstrated in a variety of practical examples and use cases from companies such as, RUAG, EOS, EADS, Renishaw, the Laser Zentrum Nord, and many others. 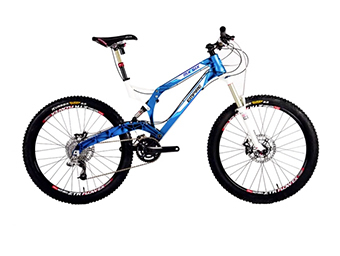 Altair assists its customers with screening tools and methodology to identify parts and assemblies. 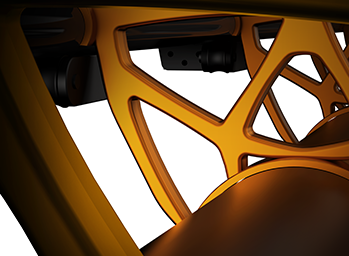 Altair also supports functional integration in order to reduce the number of parts, and enables engineers to utilize the manufacturing freedom to design for performance. A unique capability of 3D printing lies in its ability to manufacture hollow shapes with complex external geometry using tiny cells known as lattice structures. OptiStruct now extends topology optimization to support the combination of solid and lattice structures. Lattice performance can be studied under tension, compression, shear, flexion, torsion, and fatigue life. This new technology is unique on the market. 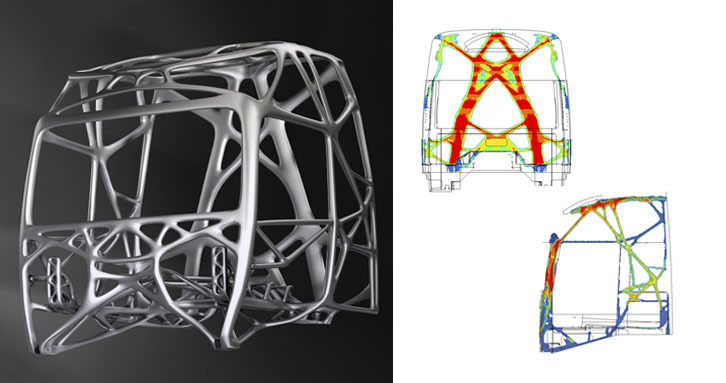 Topology optimization has long been employed by a variety of industries to create innovative, lightweight, and structurally efficient designs. While the freely shaped, sometimes organic, results are often times difficult to manufacture with traditional methods, they are ideally suited for 3D-printing. 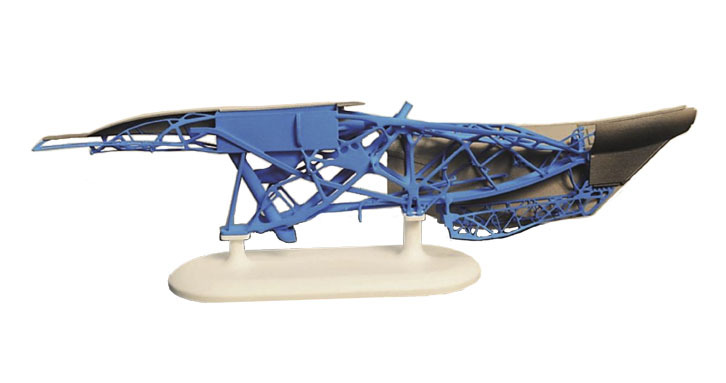 3D printing offers unprecedented form freedom, and its symbiosis with topology optimization enables greater creative expression while maintaining structural integrity and performance attributes. Altair is working with partners like Materialise to enable more efficient data transfer for 3D printing. Lattice structures may contain hundreds of thousands of lattice cells, so conventional STL file transfer can be a significant bottleneck for the overall process. 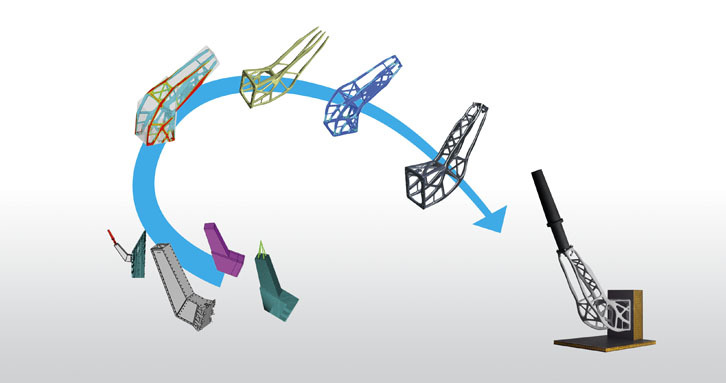 3-MaticSTL from Materialise focuses on improvements of a given lattice component to accommodate the various requirements of the 3D printing process, creating support structures where necessary. 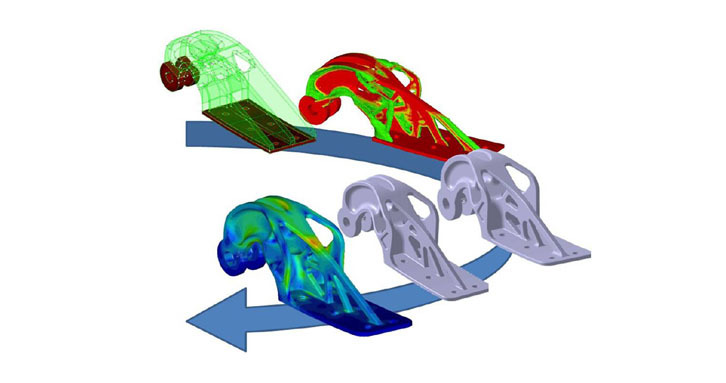 Hydraulic valve blocks, turbine blades, heat exchangers, cavities for injection molding with cores and diverting elements, with individual conformal laser-generated cooling channels are improved with AcuSolve and HyperStudy. 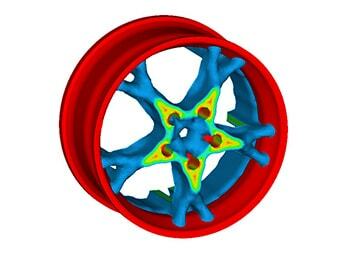 CFD Optimization unlocks tremendous performance potentials. The parametrization is directly done on the simulation model with the morphing capabilities of HyperMesh. 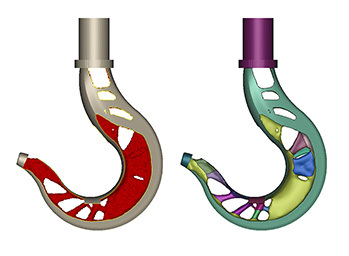 With this approach, the simulation lead time is cut down to a minimum, variants can be assessed quickly, and innovation is driven by automated optimization processes.